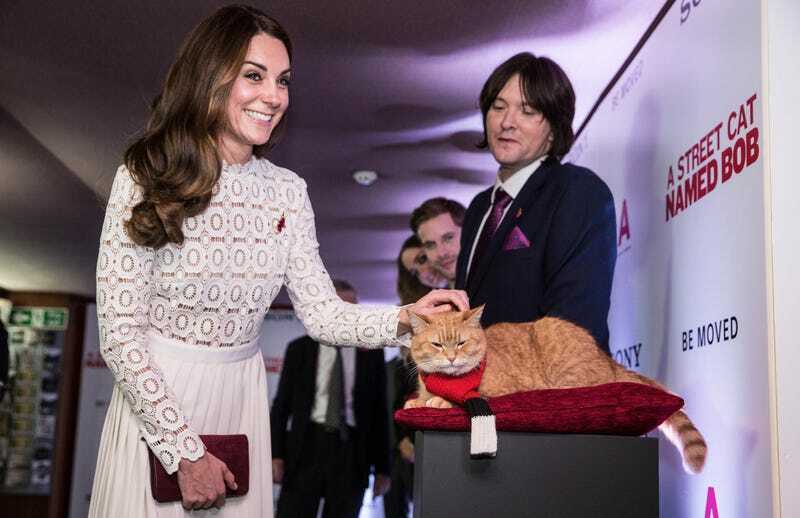 Today, Catherine, Duchess of Cambridge, mother to the future Monarch of the United Kingdom, met a cat named Bob. She looked impressed; Bob did not. Apparently Bob is democratically minded, because he didn’t so much a twitch an ear at the chance to meet royalty. This is a cat who just does not care.